Non-destructive testing or NDT is the name given to a number of testing procedures that are typically used to evaluate the properties of materials or components. As the name suggests, no damage is done to the sample as a consequence of the testing procedure, so it can be used as a quality control activity to ensure products/components meet specifications prior to dispatch. While the number of NDT techniques is many, they can be used to both check the surface and bulk of a sample for defects. As such, NDT techniques can be used at any stage of a components’ life. As mentioned, NDT can be used during manufacture, but it is equally important throughout the service life of a component, where it can be used to assess the integrity or wear status. During service, NDT can be used to predict or prevent premature failure, which can be expensive and catastrophic. Furthermore, with increasing levels of litigation more responsibility is being placed on manufacturers to warrant their products leading to an increase in demand for NDT systems. Similarly, asset integrity, or ensuring components and structures are structurally sound and maintained in good working order to avoid litigation and OH&S issues is also helping to increase the profile of NDT techniques. Radiographic NDT testing is analogous to radiography (x-rays) in medicine. It involves exposing the specimen to an x-ray source using a radiographic generator set such as those manufactured by Rigaku and Yxlon. The x-rays that pass through the specimen are then detected using something as simple as Fujifilm industrial x-ray film or a digital equivalent. Digital solutions can range from Detection Technologies linear detectors to Paxscan flat panels from Varian that can communicate wirelessly with computers. AXT have a fleet of constant potential (CP) radiographic generators for hire. These make an excellent alternative in many situations, whether you simply don’t have a system, or if yours has broken down, we can get you up and running on short notice. AXT represents a number of suppliers of various components that can be combined to create a complete solution tailored to your specific application and budget. The graphic below represents a range of possible combinations. AXT also supplies a line of industrial X-ray tubes for NDT applications dealing with X-ray cargo inspection and thickness gauging. These include a product line that consists of a broad range of glass and ceramic X-ray tubes providing a variety of target angles, focal spots, and power capabilities. 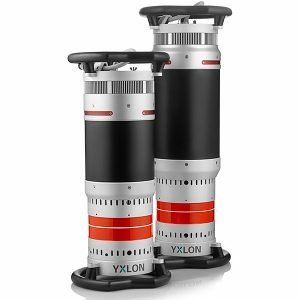 For inspection applications that require different imaging parameters, AXT offer dual and single focus X-ray tubes with small focal spots for high-resolution imaging. In addition, AXT offers X-ray tubes with Beryllium (Be) windows for low inherent filtration. Microscopy is a form of NDT that can be used to examine the surface of a component to check for defects and imperfections. Basic microscopes can help reveal imperfections such as surface cracks and surface pores which may be the result of poor mould filling. More sophisticated systems like the Hirox 3D digital microscopes including the KH-8700 and RH-2000 can take optical microscopy to a whole other level. Their ability to view specimens from multiple angles extends their capabilities well beyond conventional microscopes. Add to this their ability to perform metrology and they make the perfect NDT microscopy solution. Conventional radiography produces 2-dimonsional images of a structure. X-ray microscopy or industrial computed tomography (CT) is equivalent to medical CT. It involves taking many individual radiographic images in a slice-fashion. These “slices”, are then reconstructed using sophisticated computer algorithms to generate a 3-dimensional reconstruction of the structure. The same computer software can be used to deconstruct the reconstruction to reveal any internal point or defect. For high resolution CT work, the Rigaku nano3DX is the perfect solution.